Watch Pastor Deola Phillips receive Top Partnering Zonal Church award for eight consecutive time, among other touching moments. King David had a burning desire, encapsulated in Psalm 71: “Now also when I am old and greyheaded, O God, forsake me not; until I have shewed thy strength unto this generation, and thy power to every one that is to come.” Every partner recognized by the LoveWorld President at the awards ceremony on Saturday shared this kindred passion with the Psalmist, a passion worth celebrating. 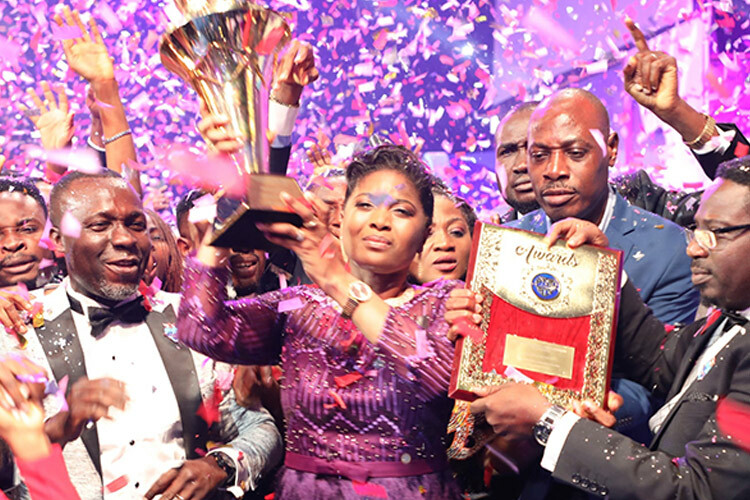 Experience the joy, laughter, dance steps, tears and much more in the featured video, especially the indescribable moment of supernatural victory as the highly esteemed CEO, Pastor Deola Phillips, received the top award of the night on behalf of Christ Embassy Lagos Zone 5. With a new ministry year already underway, these champions of faith have already set out to do much more for the Lord Jesus, and a great way for anyone who desires to join their rankings to begin is to relive the moments above. Citizens of LoveWorld are not the only ones celebrating their riches this month; God Almighty and the hosts of Heaven are celebrating their riches — esteemed partners in Pastor Chris’ righteous cause. .